With my kids we are studying English around the world. 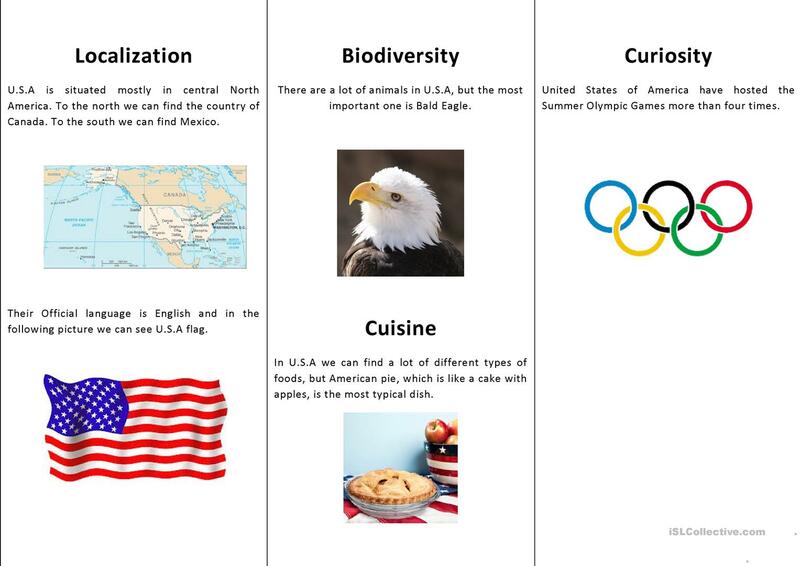 They created their own brochures of the countries where English is spoken like a oficial language. The present printable, downloadable handout is a great resource for elementary school students at Beginner (pre-A1) and Elementary (A1) level. 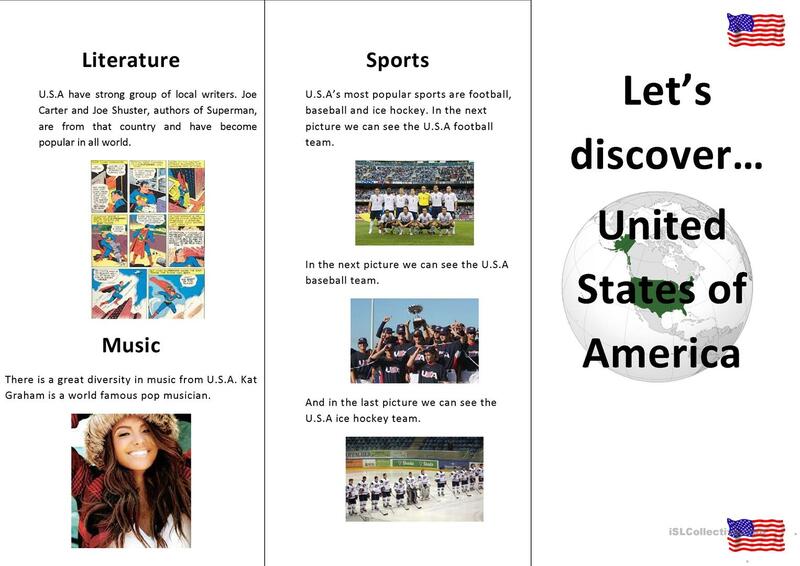 It focuses on the vocabulary topic of United States of America (USA). naona8 is from/lives in Spain and has been a member of iSLCollective since 2013-01-22 20:52:41. naona8 last logged in on 2014-11-16 13:56:08, and has shared 23 resources on iSLCollective so far.